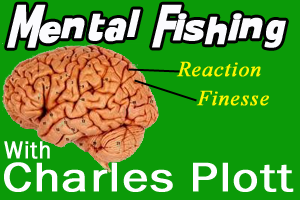 In the world of fishing there are many resources and teaching tools. I have spent many hours reading articles, doing research, and going to seminars. One common thing that all these resources bring me is confusion. This year I was lucky enough to be on The Bass University Staff. While most of my responsibilities were running the website, I was also able to run the registration table at a couple of their events. Every pro involved in the university gives an in-depth seminar on a technique. 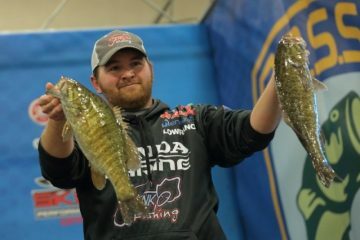 On any given event you can hear multiple pros talk about their technique for a certain type of lure. 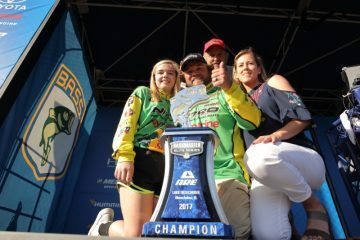 The best thing to do with the knowledge that each pro gives you, is to process all the information and use it in your fishing. If there is one thing I have learned, it is to break the information down and come up with your own way to throw the bait that can incorporate something you have learned from all of your resources. Being confident in the way you use the bait will make you a better fisherman. My favorite lure to use is the spinnerbait. The spinnerbait is one of the most versatile baits on the market, and will bring anyone who throws it some measure of success. My goal is to condense the information out there, and teach you about the system that works for me. Hopefully you can read this and further your knowledge and produce your own system for using the spinnerbait. What is a spinnerbait? A spinnerbait is a lure that gets its name from one or more metal blades shaped so as to spin like a propeller when the lure is in motion varying degrees of flash and vibration that mimics small fish or other prey. The two most popular types are the in-line spinner and safety pin. The safety pin is the most popular type and is what I am going to talk about today. The components of a spinnerbait are easy to break down. The main parts are the hook, head, skirt, and most importantly the blades. While the head and hook are self-explanatory, the rest is about preference. The skirt will contain the color that the bait will be presented with. What colors are the best? If you to listen to all the pros, they will tell all these different combinations for each type of water. My honest opinion is that best two colors are white and chartreuse. I have thrown any combination of those two colors and always had success. Now let’s talk about blades. 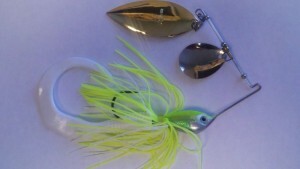 The three major blades used with the spinnerbait are Indiana, Colorado, and my favorite the Willowleaf. All three have uses for different applications. The two I use the most are the Colorado, and the Willowleaf. Before you go crazy trying to figure out when to use each, there is an easy way to know. Again, the water will give you the queue as what to throw. When the water is dirty and has little to no visibility, the Colorado is a safe bet. This blade relies on the vibration of the tear drop shaped blade. The amount of water this blade displaces , and its vibration can produce reaction strikes in poor visibility conditions. This is my go to bait when I’m fishing dirty back water off of main lakes. If you are looking for a great way to attract fish in this water, cast out to logs and bounce this vibrating bait off of it. The vibration will make the fish want to come kill whatever is making that vibration. This is a fantastic way to catch the hog we are all searching for. The favorite blade is the Willowleaf blade. You will know this blade from its leaf like appearance. Willows blades are designed to have little resistance in the water. Someone once told me to let the willow blade do the work for you. When brought through the water, you will notice that is shimmers, and moves with little resistance through the water. To the fish, this looks like a small school of minnows moving through the water. Another feature that works for this blade is the noise. 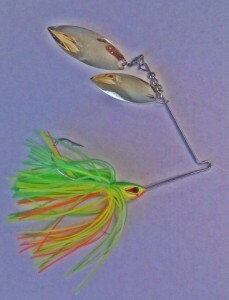 A spinnerbait with two blades makes a lot of noise. You can throw a double willow blades bait and slow roll it while twitching the rod tip periodically, this will make both blades hit to produce a noise that again drives the fish crazy. If you are not throwing a double willow blade, you should start. This is a great way to catch multiple species of game fish. 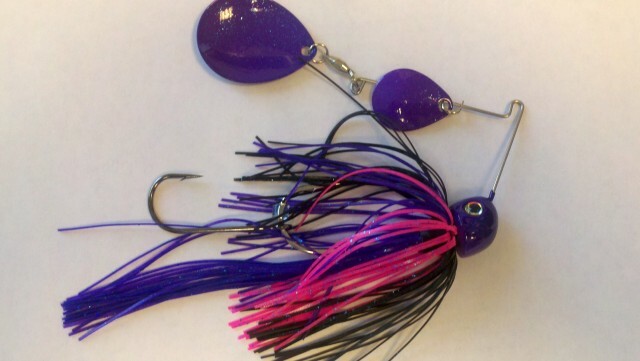 Many fishermen alter baits to better suit the situation they are fishing. This is no different for spinnerbaits. One of the best ways to alter your bait would be to add a trailer. The first trailer I like to use is a plastic grub. The grub I use is a contrasting color to the bait, and can also be used to add more weight in a deeper water application. Another great addition to the bait is a small swim bait. This is a great way to change the profile of the bait and attract bigger fish. The last trailer to add to your bait is a trailer hook. 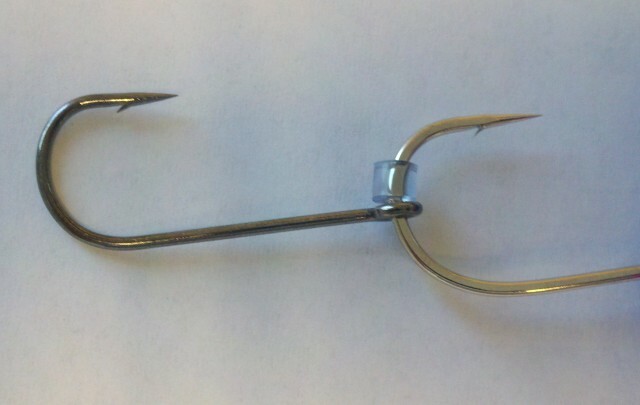 The addition of this hook will help your hook up ratio. The hook is hooked up and freely moves on the shaft of the main hook of the bait. The hook is kept on the bait by using a small piece of rubber tubing. You can buy kits that include the hooks and the rubber tubing. Many anglers swear by this extra hook, and will not fish the bait without it. Size is also a big factor in spinnerbait fishing. The most common sizes are 1/4-, 3/8 and 1/2-ounce, but I love to use 3/4 to 1-ounce in certain depths. You should try to match the size of the forage when picking what size to throw. Overall to start off, I would pick one size and learn the movement of the bait. It is important to know how the bait feels when run through cover, and to learn how to rip the bait out of cover to produce reaction strikes. Remember when retrieving do not be afraid to change speeds and movement of the bait. Everyone has a different way they fish this and you need to get a system of your own down. The conditions are a big part of this bait. A good rule of thumb would be to start fishing it early spring when the water temp hits 55 degrees and above. You can use this as a great search bait for pre-spawn and can continue to fish this up until late fall. 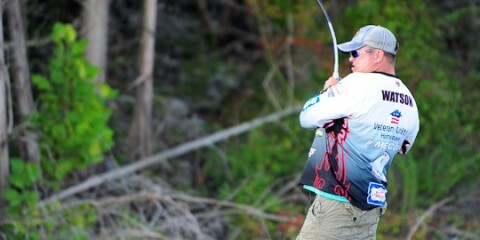 Wind also plays a big part of you throwing a spinnerbait. Wind is your friend! When the wind picks up there is a chop in the water, and this normally turns the bass on for feeding. The chop also changes the way the sun penetrates the water. This helps the rays reflect off the blades and give it a shimmering effect. Look for those great days when the wind picks up and forces schools of bait fish to come closer to the shore line. Fishing this bait in windy conditions is also good for casting. The bait can be cast against the wind and will work well with low side arm casts. The last great way to fish this bait is at night. Using dark colors withbig Colorado blades can vibrate through the water and give the fish an indication as to where the bait is. When using for night fishing, it is very important to use a trailer hook. Speed also plays a factor in night fishing. A slow retrieve is best and will help with hook up ratios. There are so many conflicting reports as to what tackle to use. Many people like medium heavy action rods and high speed reels. Line that is used to go along with this setup is normally fluorocarbon line in a heavy diameter. My setup for this is completely different. I like to use a medium action 6’6 to 7 foot rod. The medium action is good for feeling the bait run in and out of cover. My line choice is very simple as well. Berkley Trilene in 12 pound test is perfect for what I need. I like the durability of the line when running through timber and rocks. The only drawback to this line is the stretch, so be prepared to check you line and retie throughout your day. I learned my lesson on this when I had a three-pound smallmouth break off right at the boat during a tournament. That was lesson learned! The reel can be either a spinning or casting type. My favorite ratio is 6:3:1. Whether you are a beginner or seasoned professional, this is a great way to catch good quality fish almost year round. When this bite is on, there is no better way to feel the ferocity of the strike. rlever@bassmuch.com. We all have much to learn, and this would be a great way for me to refine the way I fish my favorite bait. In closing, spinnerbait fishing can be rewarding and fun at the same time. 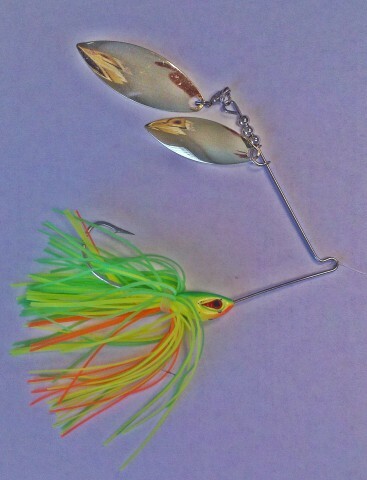 Tie on the color and blade combination of your choice and be prepared to feel the strike and set the hook. If fighting the fish is what you’re after, this bait if for you. Happy fishing and until next time… BassMuch!